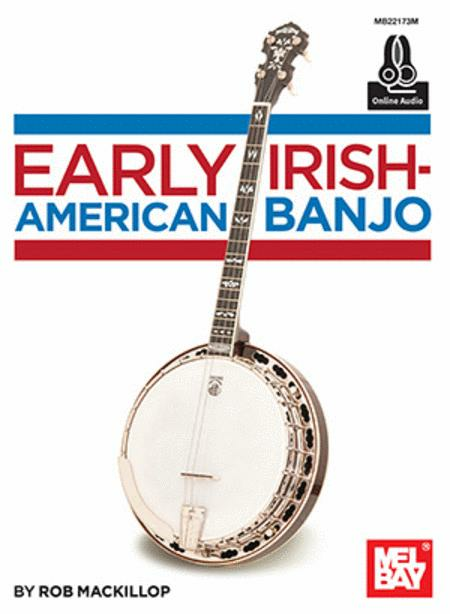 Early Irish-American Banjo is a solo instrumental collection written in standard notation plus 3 lines of tablature for the 5-string banjo, the 4-string tenor banjo in standard tuning (CGDA), and for the Irish tenor banjo in octave-mandolin tuning (GDAE low-to-high). Lyrics are not included in this volume. The audio recording contains brilliant performances of all 27 pieces by Rob MacKillop, a leading performer of historical banjo music. Rob performs fingerstyle, with the flesh of his fingertips on gut strings, on a period-appropriate banjo, in the old American tuning. 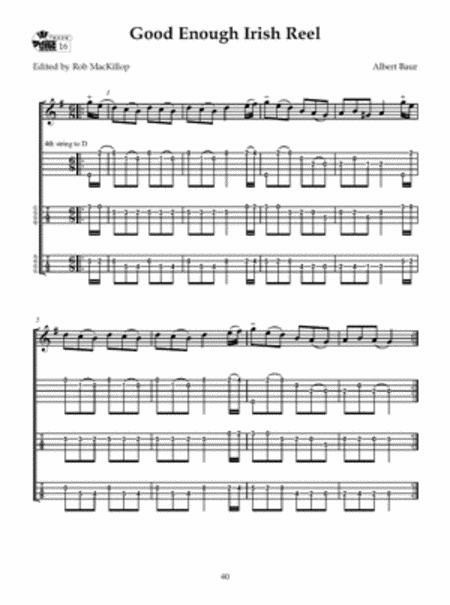 This online recording is a treasure in itself. Tunes included: St Patrick's Day; Rocky Road To Dublin; Savourneen Deelish; McCormick Party Reel, Sheridan's Hornpipe, Connaught Man's Rambles, and many others. Includes access to online audio.